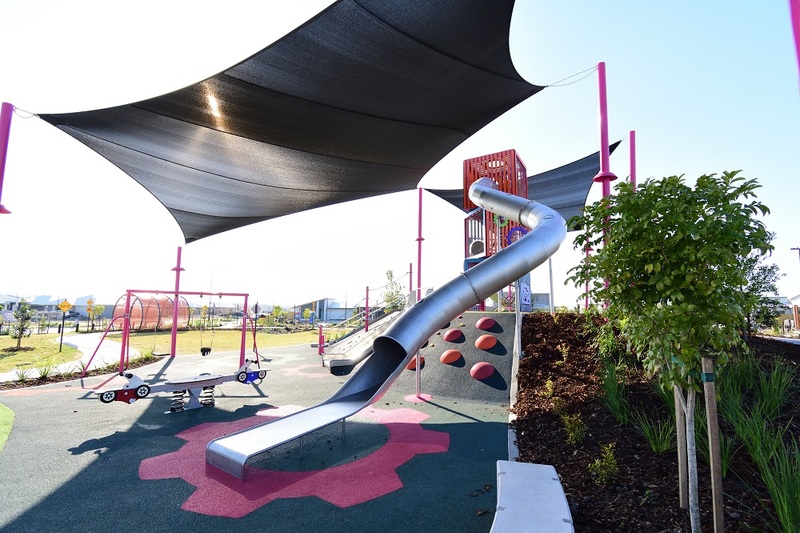 With a clear vision for the open space concept from Landscape Architects, Place Design, Urban Play helped create an inspiring and multifaceted play space within the Pedal Park, Aura. 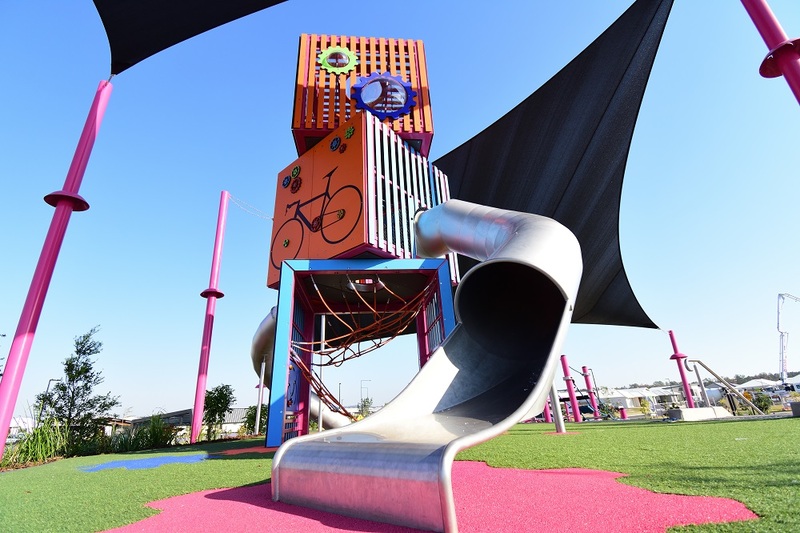 The beacon of play being a custom three-cube climbing structure stands tall on an elevated platform looking over an active and safe space for children to learn to ride their bike or scooter. 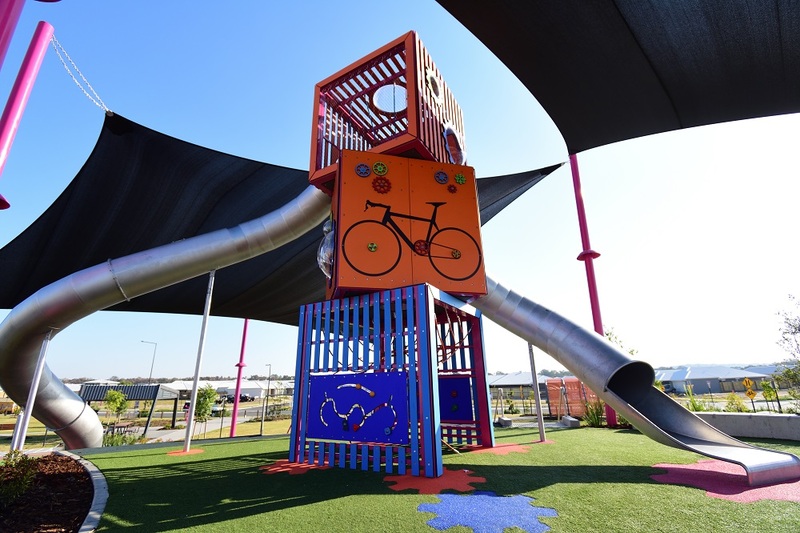 Not only spectacular in stature representing the vibrant colours of Aura, the customised bicycle themed tower proposes a whole new world to discover, with several internal climbing rope activities, interactive panels, viewing bubbles and slides. 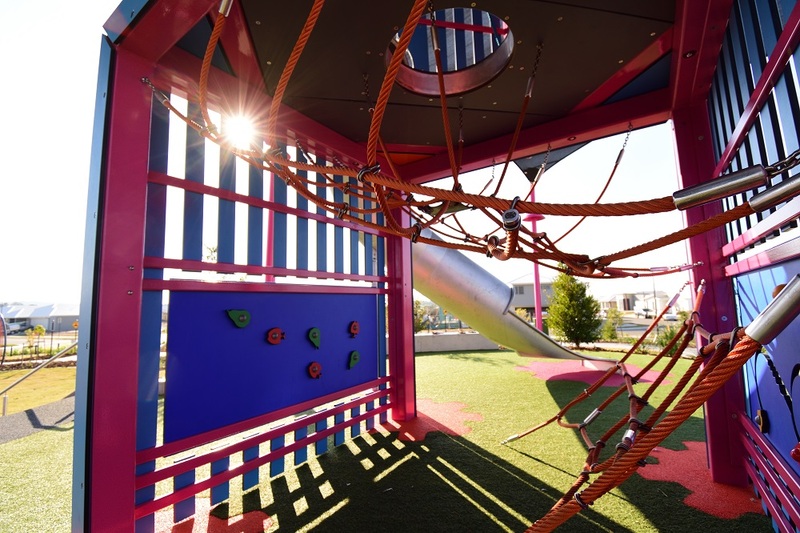 Some facades of the tower feature transparent stainless steel mesh to allow children to perceive heights and judge safe risk-taking play. 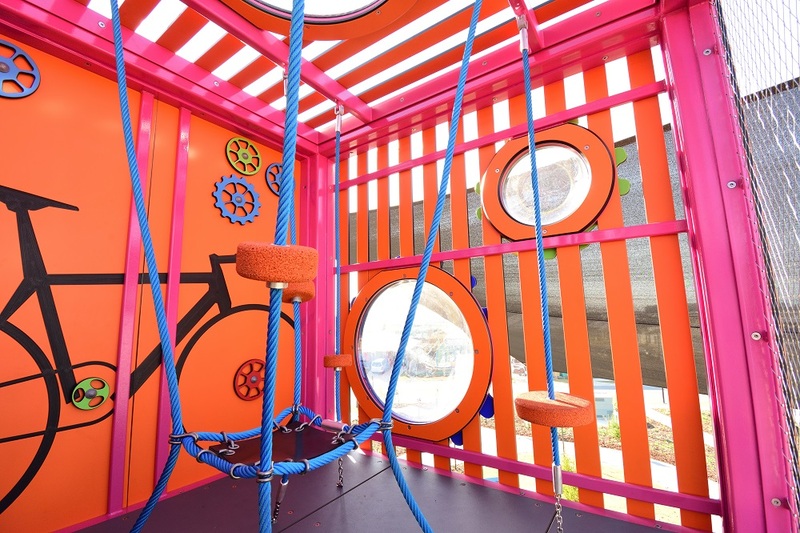 The bottom level of the cube tower, features interlocking bike cogs that turn from inside and out, perfect for the younger age group. 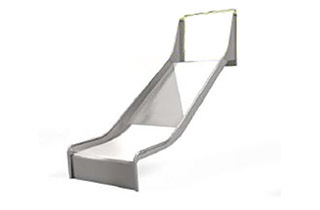 As you move up the higher levels, more exhilarating activities inspire the kids including two stainless steel slides offering different journeys to respond to children’s ability and confidence. 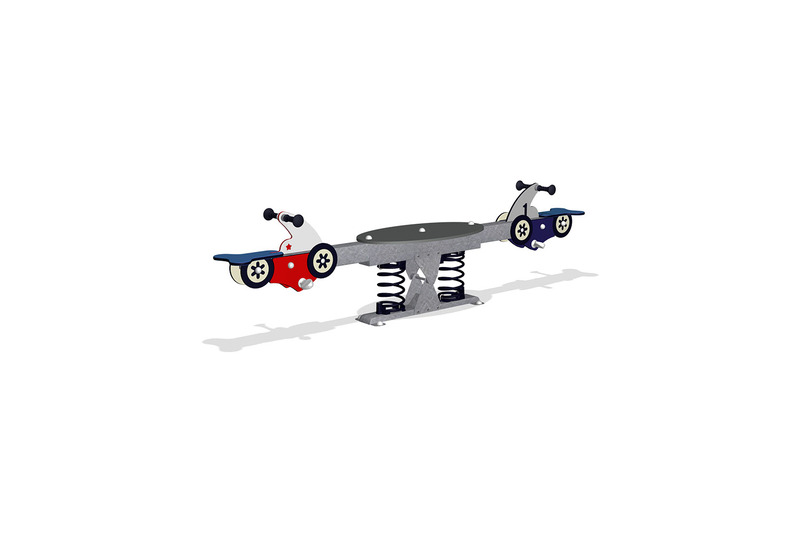 Supporting this beacon is a bike seesaw for group play and a traditional swing set with a baby seat. 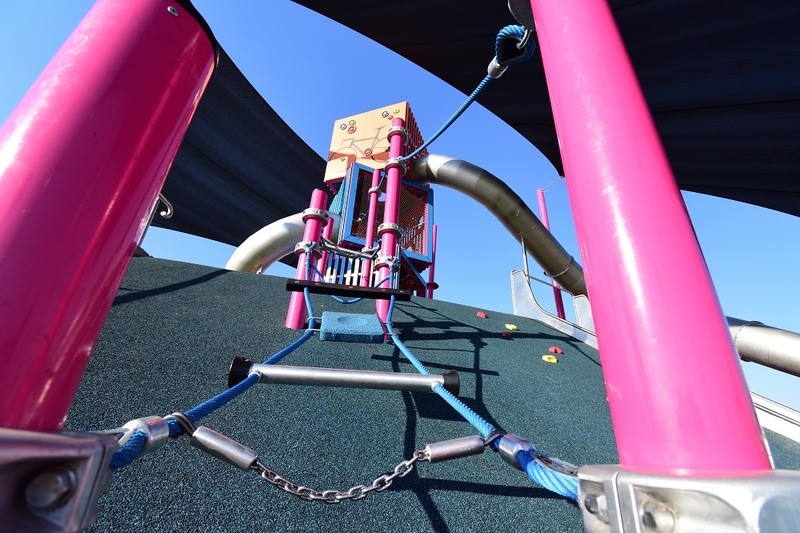 A big favourite amongst all ages is the custom designed hot pink and blue mountain wizard, creating a swaying ladder experience where kids are encouraged to bear crawl or climb using the posts for balance support. 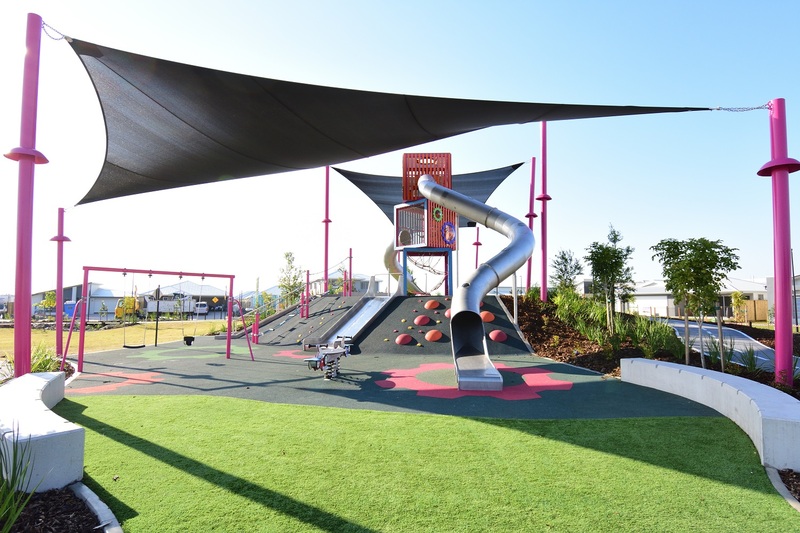 A wide stainless steel embankment slide encourages parents and carers to join in and play with their children, whilst rubber domes and climbing cleats ensure there is no deadspace and offers an easier degree of access and movement around the terraced playground. 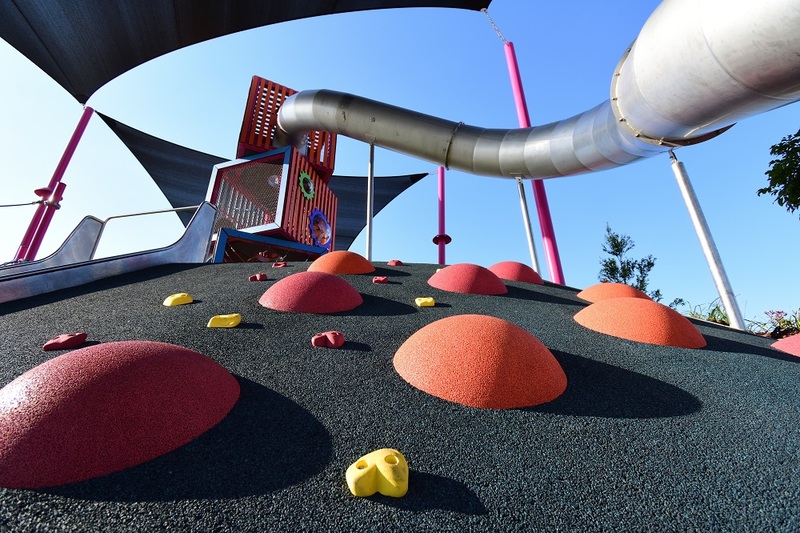 The ground plane was a combination of rubber wet pour and synthetic turf, differing the user experience as well as texturing and softening the playground. 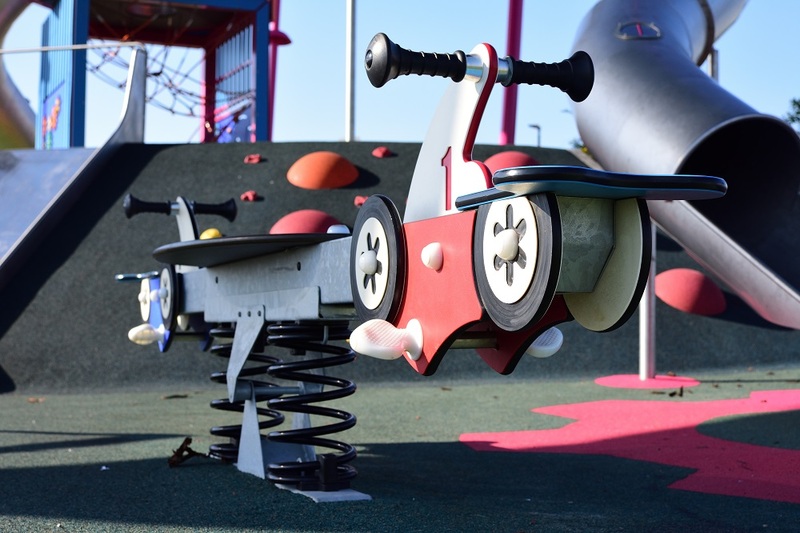 This was all made possible in collaboration with the KOMPAN Design Studio. 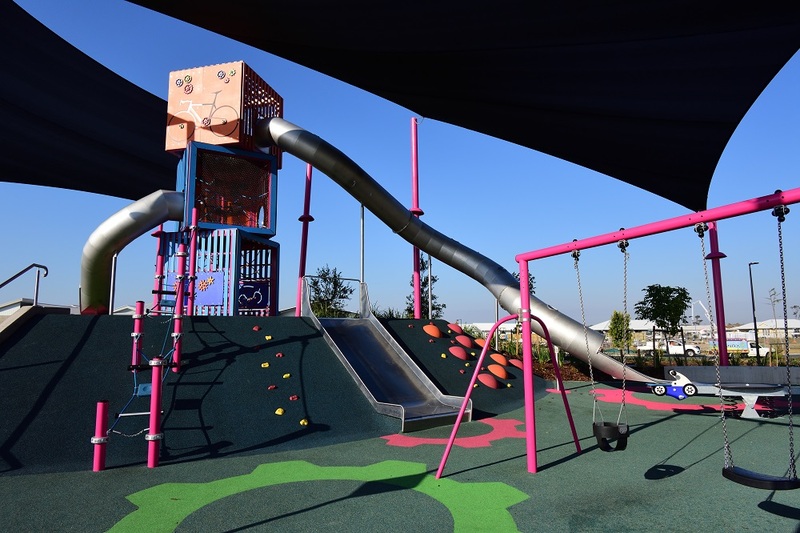 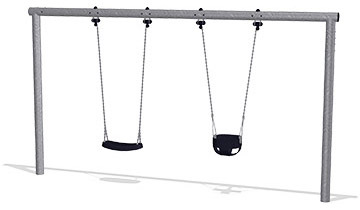 A special unit within the KOMPAN group of highly experienced designers, architects and engineers; some with more than 25 years of experience within the playground industry. 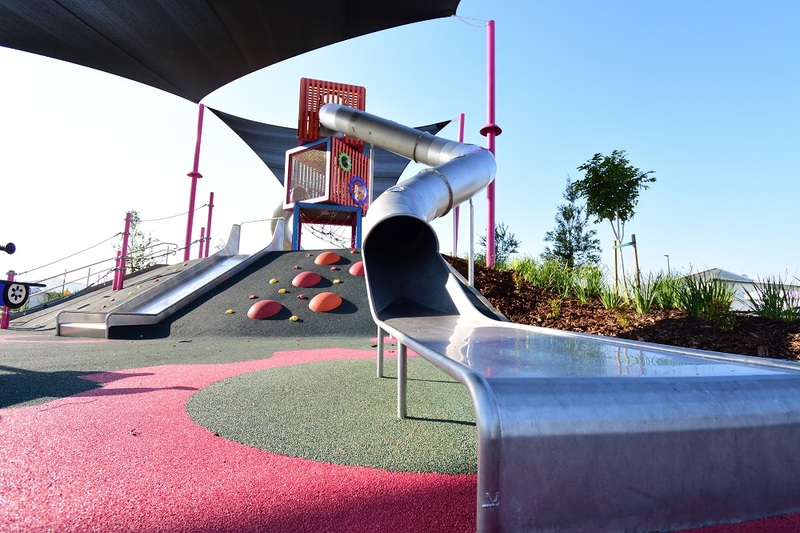 Working together with project partners, Place Design, Stockland and Eureka Landscapes, this park will bring the community together for generations to come.